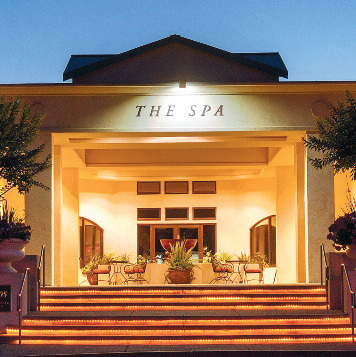 Come with us to the legendary Napa Valley, just about an hour northeast of San Francisco’s Golden Gate Bridge and north of San Pablo Bay. Breathtakingly beautiful, the Napa Valley sets the standard for American wine. Here’s our Platinum List of what not to miss. 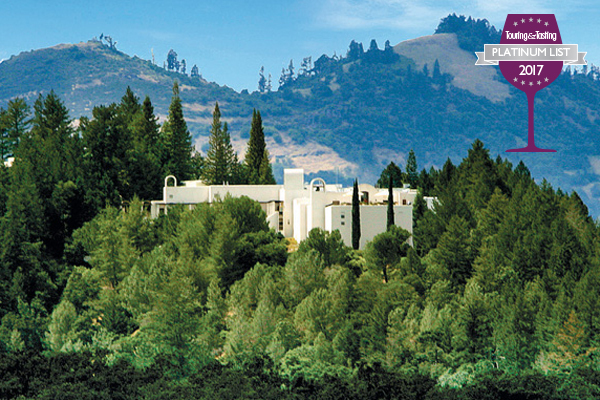 Set on more than 1,200 acres of land in the heart of Napa Valley. Featuring 370 rooms, 2 18-hole golf courses, 2 restaurants, Spa, 10 tennis courts. 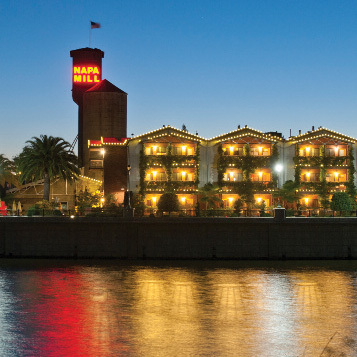 Located within the Historic Napa Mill with downtown Napa walkabout access. Featuring 66 rooms, Complimentary breakfast in bed, Free parking, Pet friendly, Evening wine hour. Just minutes from downtown Napa, the Wine Train, and Oxbow Public Market. Featuring 180 rooms & suites, Restaurant, Heated outdoor pool, Bocce court, Meeting space. 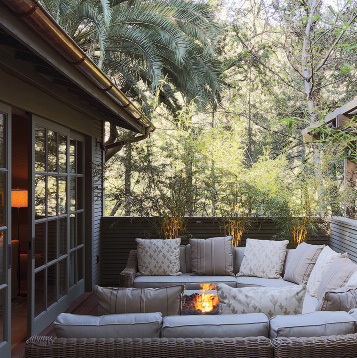 The private and gracious setting is a true oasis in the heart of wine country. Featuring 85 rooms, Fitness center, Hiking trails, Restaurant, Daily wine reception. 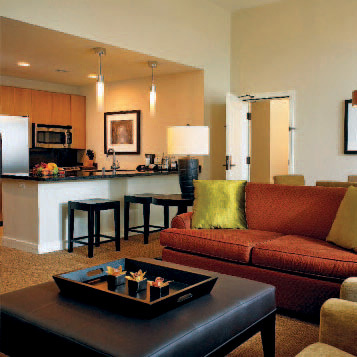 Set in a world of its own yet walking distance to downtown Calistoga. Featuring 89 studios & suites, Spa, Swimming pool, Complimentary bicycles, Restaurant. Mario is asked to create the best wine possible at Trinchero. He has the freedom to select the finest lots from the winery’s estate vineyards and does just that. Having worked all over the world with several different varieties, Janet has a refined and elegant touch. At Franciscan, her focus is on Cabernet Sauvignon. Named senior winemaker in 2015, Trevor says it’s the job of the winemaking team to ensure each wine is balanced, complex, exciting, and representative of its terroir. From bud break to harvest, Kristin spends a lot of time in the vineyards and works closely with Honig’s winegrowers to craft exquisite Sauvignon Blanc and Cabernet Sauvignon. Stephanie has a knack for making superiorquality Cabernet Sauvignon and Chardonnay. Her wines win high acclaim and a spot on the top 100 lists of leading wine publications. This California native feels fortunate to work with Napa Valley fruit. He believes that the vineyards add character and sensibilities to the wines themselves and his job is simply to let the true nature of the grapes shine through. 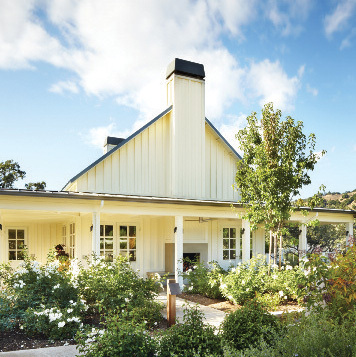 Owned by Lisa and Randy Lynch, this boutique winery is known for exceptional Cabernet Sauvignon and other high-scoring wines. This winery, owned by former Disney Executive Rich and Connie Frank, consistently produces superb wines in small lots. The Heitz family’s vision of winemaking spans three generations of dedication to excellence. They continue to polish their legacy. This sustainably farmed winery is dedicated to producing ultrapremium wines from its historic Spring Mountain estate. Founded by Jay Corley 47 years ago, the winery is now run by Jay’s sons who believe that great wines are made in the vineyard. Founded by industrious sisters Lisa and Ariana Peju, this new winery offers a fresh aesthetic and enlightened approach to the guest experience with fun and immersive tasting options. This enchanting family winery has its own executive chef who oversees several engaging culinary experiences from food pairings to cooking classes. Food is king at the winery’s Italian marketplace. Tempting picnic fare is made fresh daily and savored on the lawn. Followed by a guided tour of The Hess Collection Art Museum, guests can enjoy a Tour of the Palate, expertly prepared by the winery’s executive chef. The JRV Wine Pairing Experience is a guided sampling of the wines with carefully paired food bites, and the cheese pairing can be enjoyed on the winery’s beautiful veranda. The Royal Food and Wine Pairing is a delectable series of gourmet bites, each accompanied by another exquisite wine. Family owned and run, this delightful winery has opened a new tasting room with spectacular vineyard views flanked by the Mayacamas and Vaca mountain ranges. With advance appointments, guests enjoy intimate guided tastings and tours. Always a center for gracious hospitality, this iconic winery just keeps getting better. Three different types of wine tastings appeal to a range of tastes. The evening walking tour and wine and chocolate tasting are our favorites. The winery also offers an appealing choice of delectable lunch and dinner experiences prepared by the house chef. Providing much more than transportation, this dynamic company delivers optimal wine country experiences. Personal curated tours are a specialty. 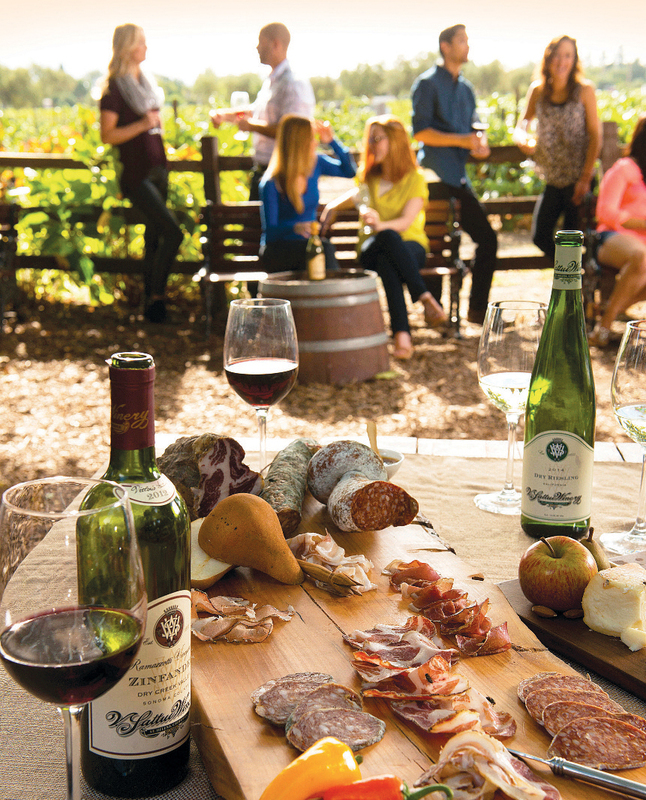 They can also organize a variety of fun culinary adventures in wine country. We can’t get over the view from this beguiling winery’s terrace. Flight tastings can be enjoyed here after a brief tour of the winery’s beautiful art collection. For a real treat, there’s a private vineyard experience. This stunning winery, designed by famed architect Domingo Triay, blends seamlessly into the landscape but it offers stand-out tasting experiences including an imaginative tapas and wine pairing and an exquisite pairing of wine and locally crafted chocolates. Studying is a joy at this Carneros winery. The Study of Pinot Noir experience presents six expressions of this delicate and popular varietal from six distinct growing areas across California— all crafted by Etude Winemaker John Priest. 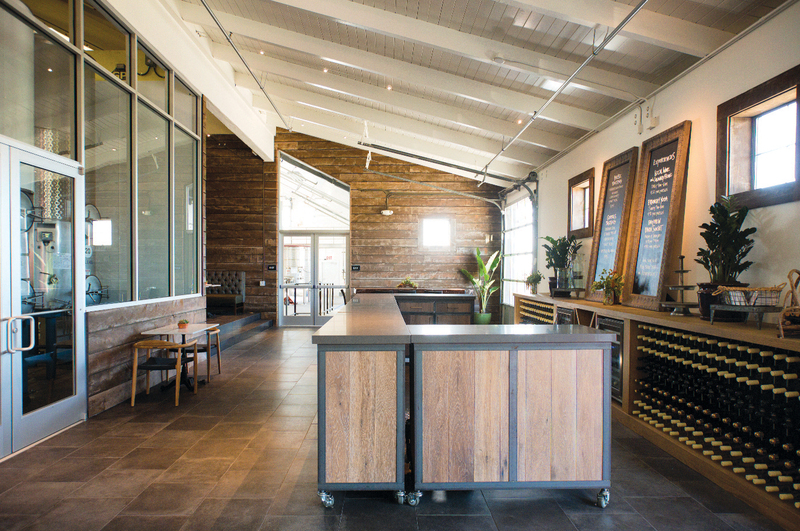 This winery’s 5,500 square-foot space in downtown Napa has several unique tasting areas where guests can sample the wines. The wine and cheese pairing features artisan cheeses.